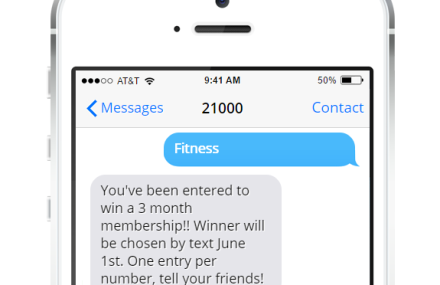 Do you want to use text marketing for your gym or fitness center? These top 3 text marketing tips will ensure you are successful. Group messaging is especially effective for gyms because you can target the interests of individual clients. Send class reminders, schedule changes, new program announcements and much more. Mobile marketing is quickly becoming the most popular and profitable form of marketing within the car wash industry. 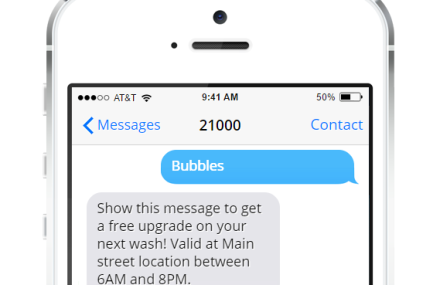 Learn how to use mobile coupons to draw in new customers and to get customers to come back to your car wash. SMS messaging is affordable, timely, and very easy to use. See how your car wash can benefit today! Med spas are ideal for using text marketing to keep in touch with current clients and to draw in new business. See the top 5 ways med spas are using mobile marketing to reach customers. Advertise specials to draw in new customers and send appointment reminders to reduce no-shows. Because SMS marketing is permission based you won’t be wasting any marketing dollars on people that aren’t interested. Gaining the phone number of individuals looking to buy a car is invaluable. 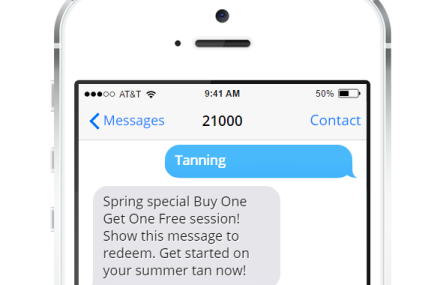 Use text message marketing to provide information to people on the lot and get their phone number in the process. Most people prefer text messaging to calling a phone number. 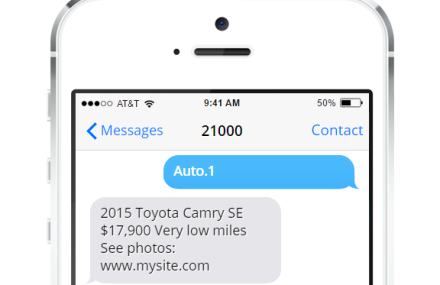 See how your dealership can implement text marketing to boost car sales. 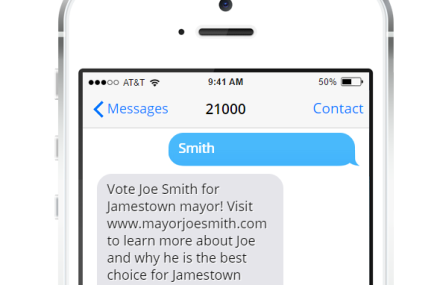 As a politician it can be difficult to know exactly what information voters want; use text marketing to ask them. With text messaging you can quickly reach people that are interested in you and current political issues. Most people won’t take a lot of time to seek out information, but texting them the highlights can show them why they should learn more about you and your campaign. Mobile marketing is a great way to draw in new clients. Add your keyword and shortcode to other advertising to get people to text in for more information. As an insurance agent you can also use text messages to get in touch with current customers to let them know about policy options or changes. 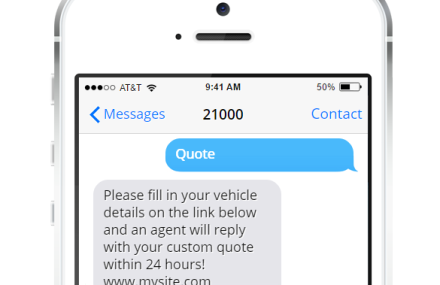 Text message marketing is a simple, effective option for every insurance agent. A dentist office can save time and money by utilizing text messaging to send appointment reminders. SMS messaging provides a simple, efficient way to quickly send appointment reminders to patients on a daily or weekly basis. Sending a text message reminder can greatly reduce the number of patients that do not show for an appointment. These 4 text message marketing tips for golf clubhouses show the most popular ways that golf courses are using sms messages to increase business. Golf courses use text messaging to advertise specials in the pro shop, text a reminder about tee time, announce special tournaments or events, and much more. 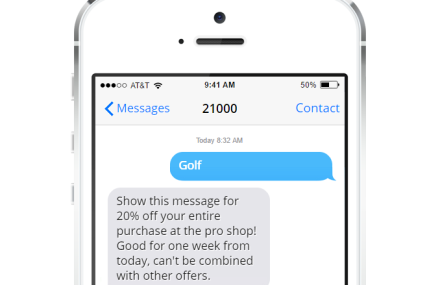 See how your golf course can benefit from text message marketing. These 3 best text marketing tips for real estate agents will give you a great start with your sms marketing campaign. See how using text messages can spread the word about new real estate quickly and help you keep sales up. 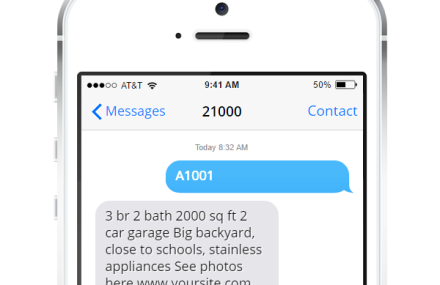 Using sms message auto-responders will let people get information on a listing immediately and let you know when people are checking out a property.